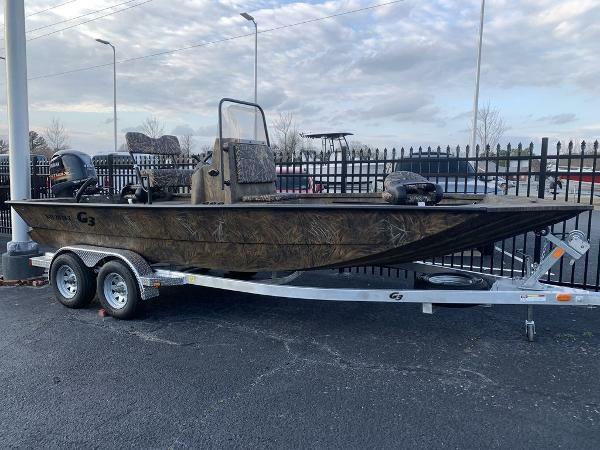 2019 G3 Bay 20 DLX Tunnel Camo Boat: 2019 G3 BAY 20 T DLX GEN49913I819 Engine: 2019 Yamaha VF115LA 6FNL1013203 Trailer: 2019 Bear Trailer TRL LTV72-20 41YAL2220K1080233 The Bay 20 DLX Tunnel is offered in two Mossy Oak® patterns: Break-up® and Shadow Grass®. This multi-purpose boat will be ready season after season. Finding your favorite shallow water hunting and fishing spots takes dependable, well-designed equipment. Depend on the quality of G3 Boats and Yamaha to get you where you are going…..and back. Features may include: All-aluminum, all- welded .100 gauge wide-body hull Painted Mossy Oak® camo with Tuff Coat™ spray-in liner Precision fit, 3” aluminum dual axle trailer by Bear® with Trail Guard® locking detachable tongue, space saving and security 14” radial tires, diamond tread step pad and tongue jack Buoyancy pods Hydraulic steering Custom camo console includes upgraded steering wheel and black anodized grab rail. Faria® gauges include Fuel, Tach, Trim and Speedo. It also has upright rod holders for six rods. 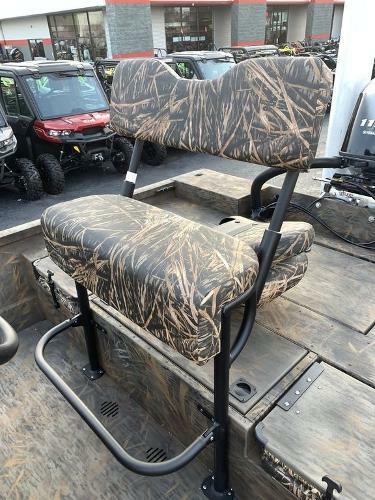 Two comfortable high-back Mossy Oak ® camo fishing chairs are standard equipment. Quick access bow storage box. 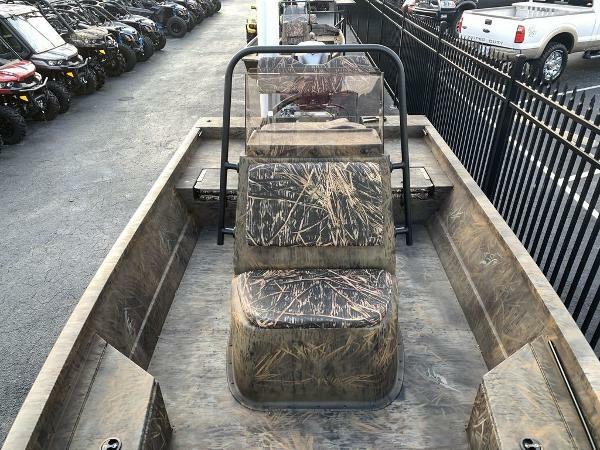 G3 is the leader in tunnel hull designs for shallow water sportsmen everywhere. Bouyancy pods aid shallow water hole shot. Safety first! Boaters Checklist provides reminders of important responsibilities before every outing.